Jesus knew that his mission was now finished, and to fulfill Scripture he said, "I am thirsty." A jar of sour wine was sitting there, so they soaked a sponge in it, put it on a hyssop branch, and held it up to his lips. When Jesus had tasted it, he said, "It is finished!" Then he bowed his head and gave up his spirit. Jesus lived on earth just a little over three decades. When he died, he declared his work "finished." I'm not sure that I can say that about even one day's work at the end of the day, much less about my life's work. I have a cartoon someone gave me that reads, "I believe that God gives us all a certain amount of work we are to get done in our lifetime. At the rate I'm going, I figure I'm going to live another 110 years!" Jesus' secret to completing his life's work was really pretty simple: He sought to please God with what he did rather than trying to make everyone else happy. Jesus accomplished what God sent him to do. How about us — you and me? With all we are trying to do, are we really focused on the main objective of doing God's work or are our efforts being diminished in trying to do too many lesser things? 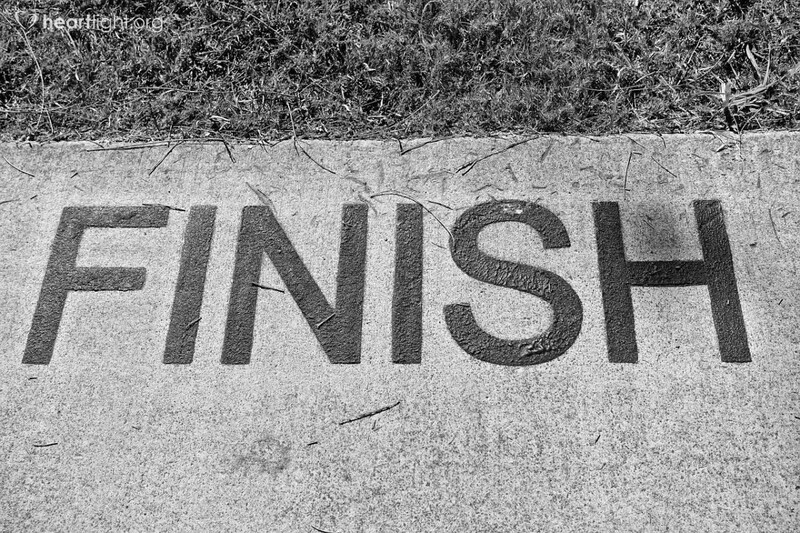 Let's live so that when our end is near, we can say, "It is finished!" Holy God and loving Father, help me to know your will for me each day so that I can accomplish the most important things and not just be involved in running around trying to do too many things. Please reveal to me more clearly the work you have for me to do; and then, dear Father, please give me the courage and power through your Holy Spirit to do it. I want my work to be finished when my time has come to leave this earth and go home to you. In Jesus' name, I pray. Amen.